If you are not presently appointed to sell short-term care insurance, call the National Advisory Center at 818-597-3205 for information. 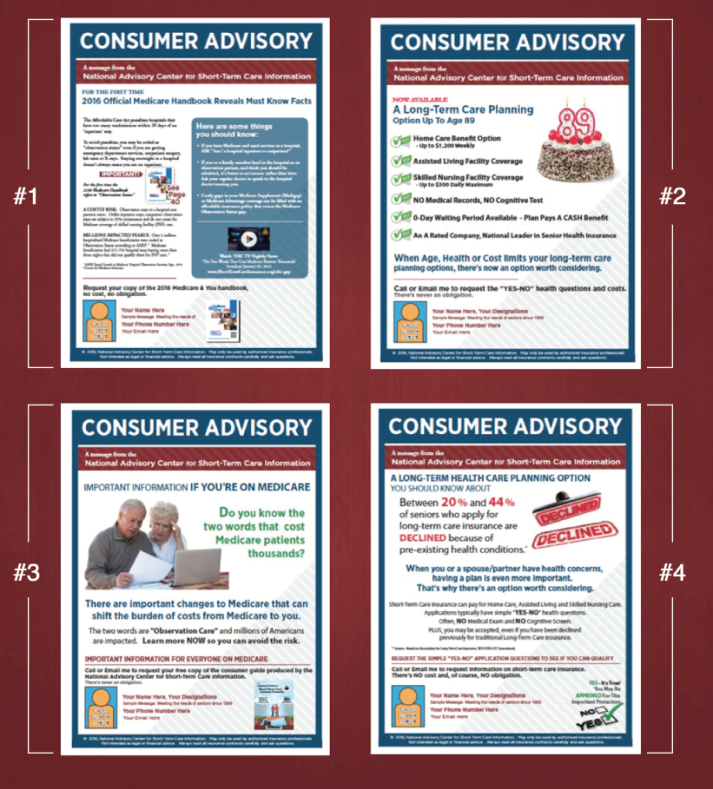 Step 1: Click on the links below to see the available Consumer Advisories. Do you know the two words that cause Medicare patients thousands?